Let’s be honest, while sometimes amusing, Chatroulette can also be very, very sketchy and NSFW. Luckily, some very creative people had the idea to create “Catroulette“, a cat adoption website. 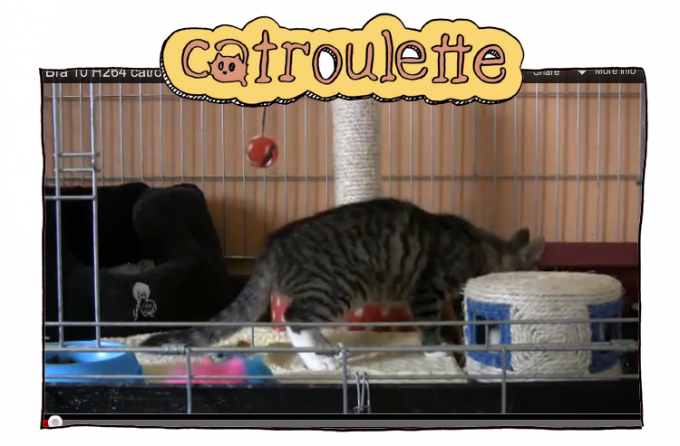 The website, backed by multiple cat adoption agencies in Belgium, follows the same general principles of Chatroulette, allowing you to “Next” a cat to view a different one. Each cat comes with a clip that plays on repeat and includes adoption information if you’re interested. Cat lovers now have another option if they get sick of their Cheezburger cat memes. All jokes aside, this is actually a really creative way to promote cat adoption.